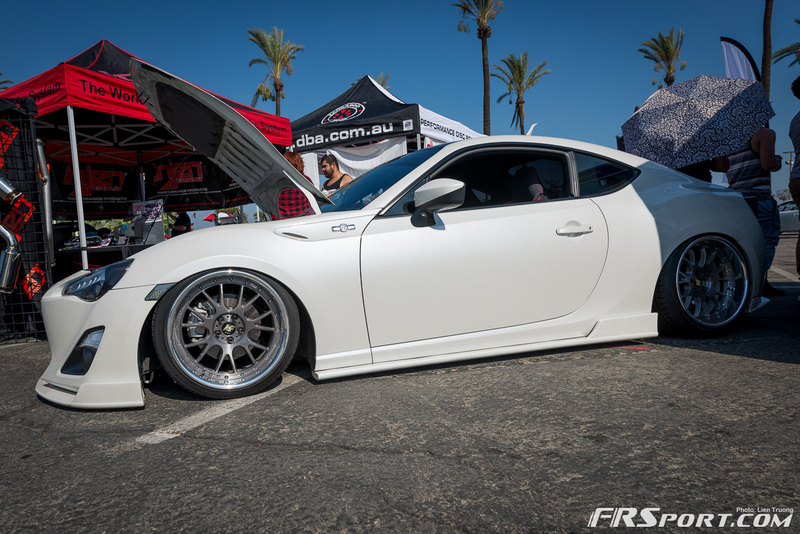 If there was one event to go to if you were a Scion FR-S, Toyota Corolla, or Subaru BRZ owner it would definitely have to be 86Fest at Irwindale Speedway. This event is backed by some of the import scene’s top dogs like MotorMavens and SocalFRS just to name a few institutions. This year the amount of cars honoring the 86 digits was equally as good as the years before and there were definitely some neat stand outs. 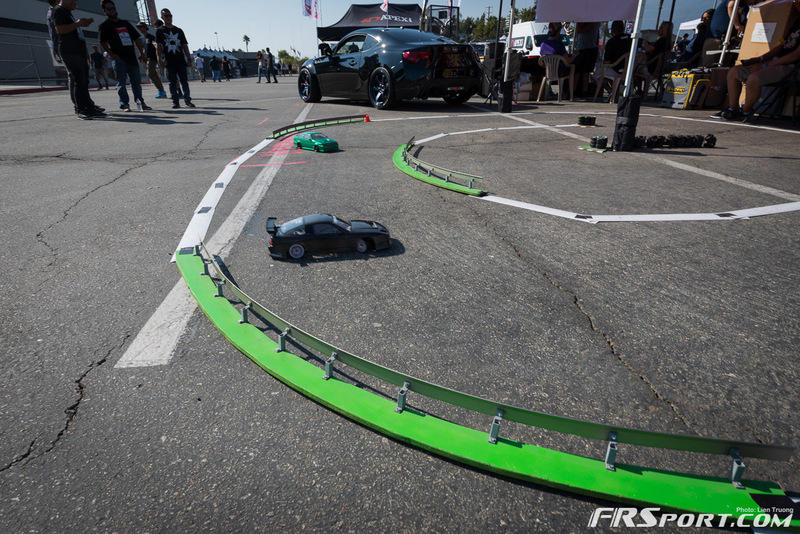 The whole FR Sport team again pulled a 14 hour day in order to provide customers an amazing experience at the event and to physically show them some of the top-notch parts available for their cars as well. 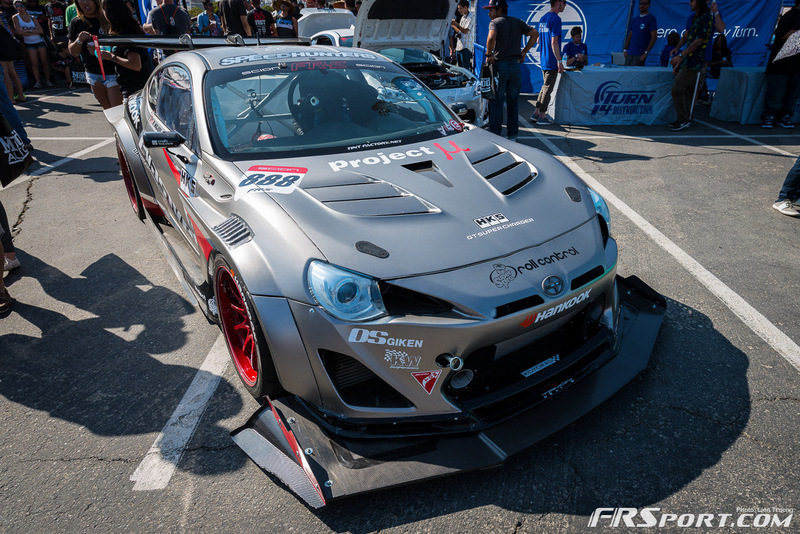 With the FR-S and BRZ already on their third year of production, the amount of items the team brought out was immense. We weren’t the only vendor at the event either. Apexi had an amazing selection of garage sale items available for the public and so did many other manufacturers. Check out all those boxes! 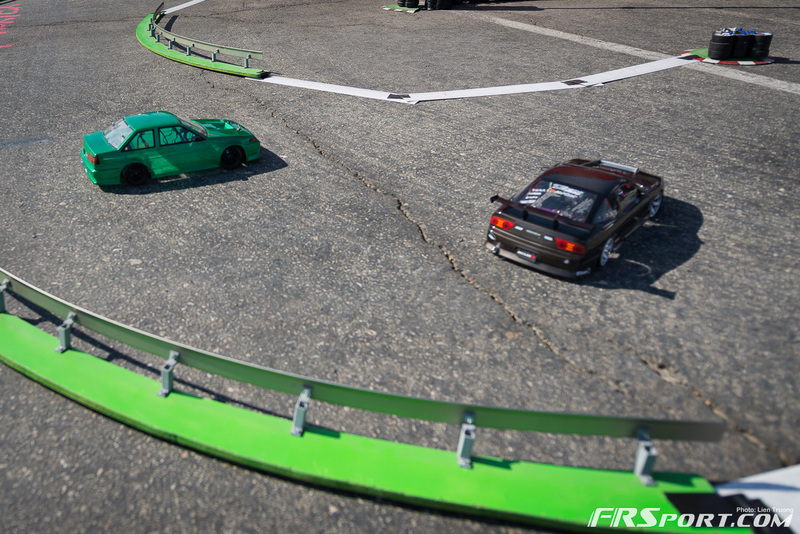 A lot of people walked out of 86Fest with amazing deals, both from Apexi and FR Sport. 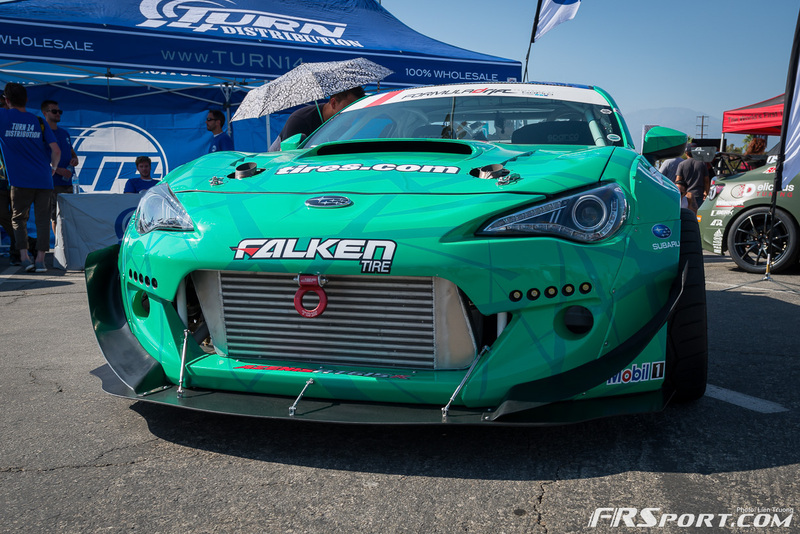 Our good pals from OS Giken also attended the show and demonstrated in front of their booth a Subaru BRZ that had competed against the FR Sport BRZ all year long during various SCCA competitions. These guys have definitely owned the SCCA market with their great LSD’s and with good reason too, the differentials are some of the best on the market. If the great deals being offered by many of the vendors weren’t enough to warrant attendance to the event, then the show-car vehicles there certainly would have. Some of the industry’s most popular cars were in attendance and visitors were flocking to them like ducks after bread crumbs. Above is one version of GReddy’s drifting cars. This car was actually clad in Cement Gray paint at the 2013 La Autoshow last year and now adorned this intricate vinyl wrap. The Bullet Proof Automotive car was also on hand for viewers to gander at for hours. This car has already made the cover of countless magazines and has netted thousands of likes on YouTube thanks to great videos by Maiham Media. The car looks ridiculous in pictures but even more ostentatious in person. By the looks of it, 75 percent of the sides have to be part of the crazy body kit its donning. Of course there were lots of Corolla Hatchbacks as well. The term 86 basically originated with these cars and now 86Fest is dedicated to the old Toyota AE86 cars and the new GT86 versions as well. Red seems to be an extremely popular color for these cars as it strongly hints at JDM nostalgia. 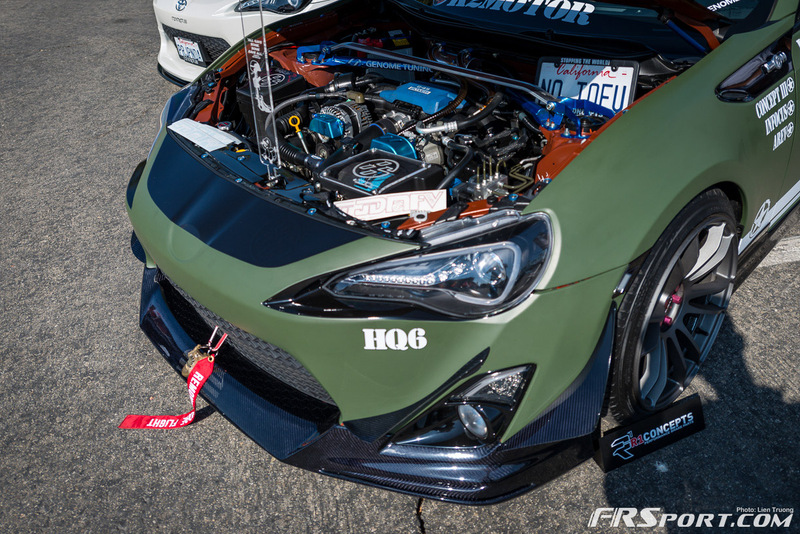 The exterior of many of the cars at 86Fest always seem to grab the attention of attendees but once in a while, after you’re done looking at the outside of the car, some vehicles surprise you with the innovative or creative use of interior mods. 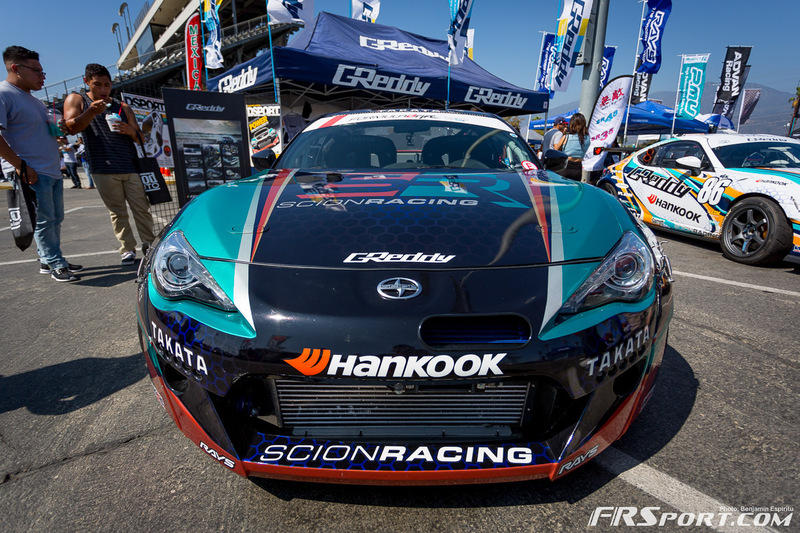 This Scion FR-S owner for example, swapped out his traditional Scion supplied shift knob for what seemed to be the handle of a katana, the traditional Samurai sword. It’s the equivalent of stabbing your transmission so it can go faster haha. Not leaving engine mods out of the cool things we encountered list, was our first “Holy-Smokes” moment of 86Fest III. 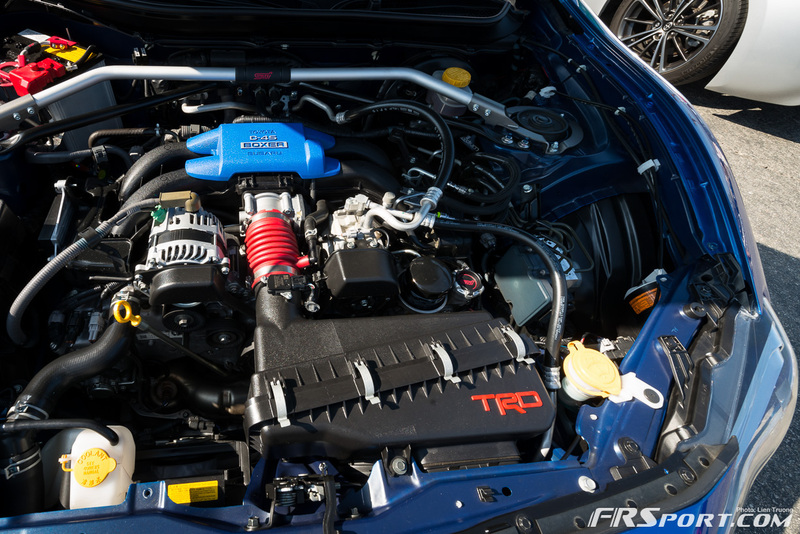 This FR-S owner went full Turbo on his car but clearly wasn’t satisfied with simply one. Here we see that not one but two turbochargers have been added to the FA20 engine in a pure show of power and innnovation. The size of the turbos didn’t look too big either which ultimately would aid in boost response time. Exactly! That was our face too, mind completely blown! After checking out some the nicest FR-S and BRZ cars we’d seen in a while, we made it back to home base to help out the sales and marketing team as the crowd was getting bigger and bigger at the FR Sport booth. Jenny Nguyen, which had stuck with us for this event as well, was doing her best at trying to giveaway all the cool social media swag we brought. She seemed to be doing a great job considering she was super busy throughout the day. 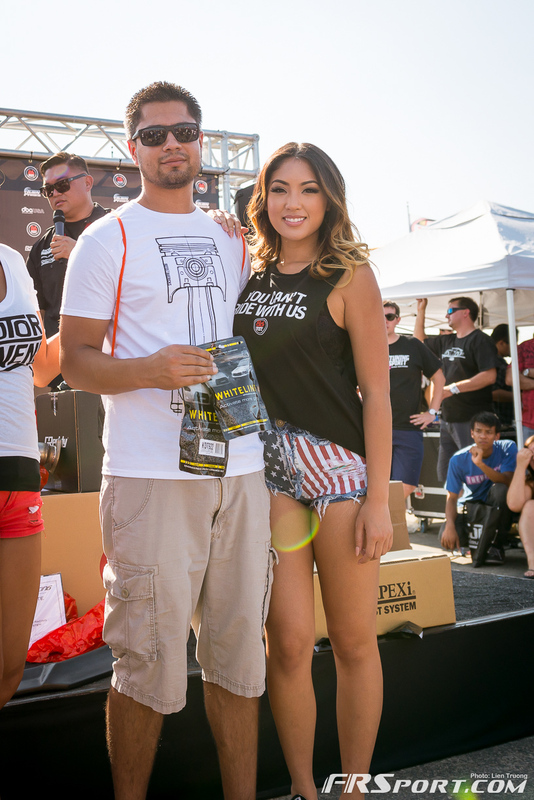 The show ultimately ended after some sweet raffle prizes were given out. Many attendees scored items such as intakes, giftcards, and even one of our awesome Blitz Limited Edition Swag packs. Towards the very end of the day even Taka Aono, a good drifting buddy of ours, also stopped by to take a picture with one of our staff members, our BRZ, and Jenny. Such a cool gesture from an individual we respect. The experience of hanging out with some of the industry’s most passionate people was truly something we needed to do in a while. We saw the faces of the people we deal with day in and day out and finally got chat face to face with many of them. Given that this event was a success in our eyes, we can’t wait until 86Fest IV! Till next time.